As a Trust and Estate Administrator, Eve acts as a trusted advisor and local resource for Martha's Vineyard Bank Trust clients. 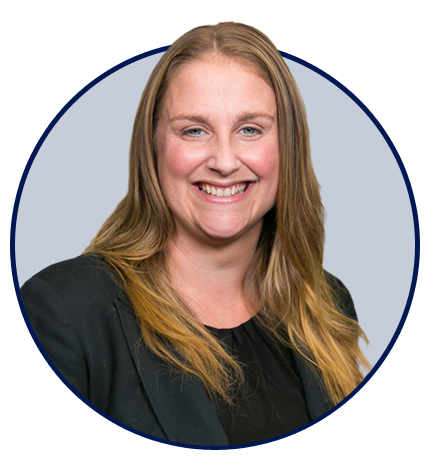 In addition to assisting clients with executing, managing and understanding their estate plans, Eve often steps in to help Trust clients and their beneficiaries, assisting them with the intricacies of managing and settling complex trust and estate issues. Eve holds a Bachelor’s degree from Wheaton College in Norton, MA and a JD degree from Suffolk Law School in Boston MA. Eve was born and raised on Martha’s Vineyard, where her family goes back several generations. Prior to joining Martha's Vineyard Bank Trust Services, Eve managed her own law firm with offices in both Edgartown and Vineyard Haven. You are under no obligation to use the services of Eve Vincent or Martha's Vineyard Bank Trust Services, and may choose any qualified professional to provide trust and estate services. Eve Vincent and Martha's Vineyard Bank Trust Services and their services are separate from Martha's Vineyard Investment Advisors.